If I remember correctly, it was my junior year in college. I was the center fielder and come in to close games. The reason I started throwing sidearm is because of the wear on my arm from throwing from two different angles. In the outfield I would throw from over the top and pitching I would throw three quarters. The only thing that was hard was judging where to released the ball from the outfield because of how much the ball would move. The number one advantage was the incredible sink I had one my fastball and the level of success I had on getting righthanded hitters out. I don't believe I would have made it to the big leagues without dropping down to sidearm. Depending on where they are in their career I would suggest it. You never know until you try something different. I'll tell you a quick story about a friend of mine who in his first year in college threw low 80's. He walked on at Auburn made the team pitching coach changed him to sidearm and his velocity increased to mid 90's had a successful college career. 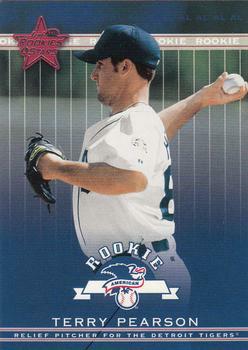 He ended up getting drafted high round and pitched 10 years in the majors. Stay behind the baseball at release and finish your pitch. Also keep your arm angle up no matter what. I had three pitches: sinker, slider, and cutter. Righties- sinker in and slider away mostly but would throw fastball away ahead in count. Lefties- sinker in back door slider and cutter on back foot mostly and sinker away ahead in count. My most favorite part about throwing sidearm was the sinking action on the fastball and breaking a lot of bats.